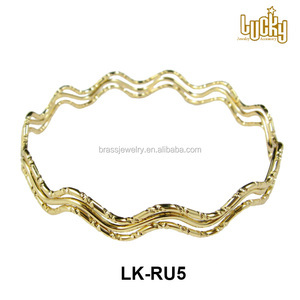 2013 gold bangle design latest bangles design bangles for girls 1: Material 1)316L stainless steel, TA2 titanium, Tungsten 2:Model 8232 3:Color 1) Silver, black-silver, black-gold, gold-sliver, IPG, Black, copper 2 )Vacuum plating color 1 year no fade 4:Health Element Ned magnetic, 99.999% Germanium, negative ion, FIR, 38 energy powder 5:Backside Element 1)Full magnetic, full germanium, full negative ion, full 38 energy powder 2)5 in 1: magnetic + negative ion + FIR + germanium + 38 energy powder 3)4 in 1: magnetic + negative ion + FIR + germanium 4)3 in 1: magnetic + negative ion + FIR 5)2 in 1: magnetic + negative ion 6)Customized 6:Power 1)Magnetic: 3000~5000 gauss 2)Negative ion: 800~1200 ions 7:Logo Free laser your logo on Bracelet 8:Size 1)Length: 195 mm , Adjustable 2)Width: 7 mm 3)Thickness: 3.5 mm 9:Clasp 180 degree 10:Craftwork High polished, Matt, Sandblasting, IPG, CNC, Laser(hand work) 11:MOQ 1)Small order: 1pc/ per style 2)Usually order: 200pcs/per style ( customized) 12:Text 100% nickel and lead free 13:Certificate ISO, SGS, CTI, . 14:Delivery day 1)Small order: About 3 ~7 work days 2)Usually order: About 25 ~ 30 work days 15:Unique 1)High power technology and fashion together 2)Excellent quality and reasonable price 3)On time delivery and in time after-service 4)All promised from our factory 1 6:Packaging 1)Inner packaging: one OPP bag with one pc bracelet for free 2)Gift box: fee nice gift box for choosing 3)Outer packaging: 200 PCS / Carton Our business goals Pure material(100%) & best metal for each piece, excellent quality, exquisite workmanship, prompt delivery, satisfying service Product detail: Contact us you will get what more than you can see ! Choose 38, won't let you down ! 3, Color: as the picture. 4, OEM: other colors. 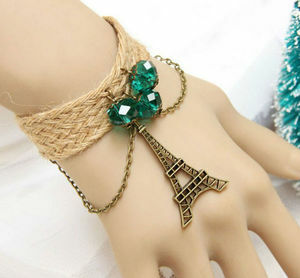 5, Bracelet Size: lace is 1.6cm*13cm , adjustable length: max 22cm. 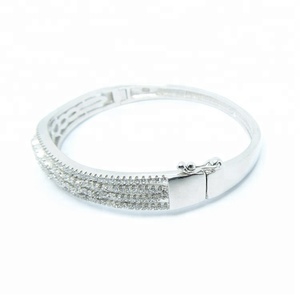 Crystal Pave Jewelry Stainless Steel Bangle 2013 Wholesale Bangle more you order,more discount!! Why we could be your best supplier9 To supply you the most competitive price and the most suitable design is our basic duty. We could offer you the strongest support to help you expand more market percent. 7 YRS Zhaoqing Gaoyao Ruilong Silicone Craft & Gifts Ltd.
specializes in a wide variety of metal products, promotional gifts, fashion jewlery & accessories, handbag accessories,cellphone accessories and so on. 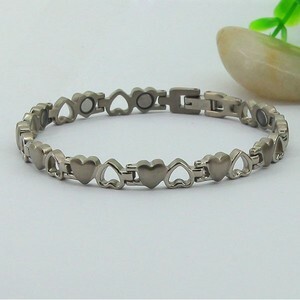 more products, please view our website: n & please don't hesitation to contact with us for any questions caused. Do our best offer you more competitive prices,quicker responses & shorter productions time. 3)We will use safety foam in the CTN to protect products in order to avoid any damage during the delivery. (we always telling our employees that if our product is not good enough to give your lover then why you produce them. We will quote you the reasonable price and keep your trade secret loyally. 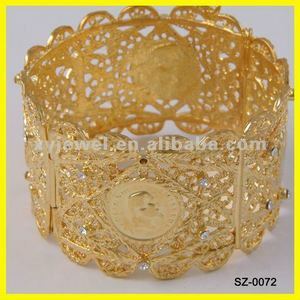 Alibaba.com offers 1,427 2013 bangle products. About 91% of these are bracelets & bangles, 15% are stainless steel jewelry, and 12% are zinc alloy jewelry. 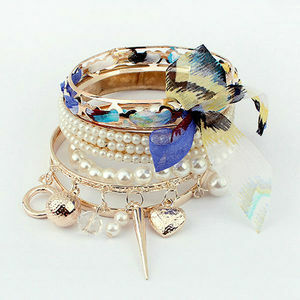 A wide variety of 2013 bangle options are available to you, such as free samples, paid samples. 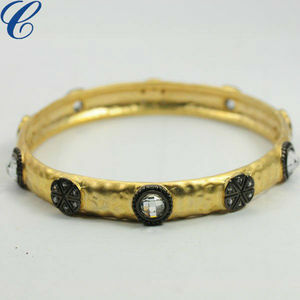 There are 1,427 2013 bangle suppliers, mainly located in Asia. 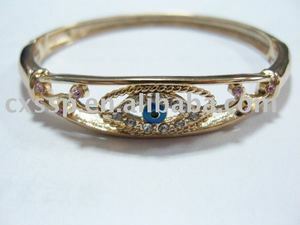 The top supplying country is China (Mainland), which supply 100% of 2013 bangle respectively. 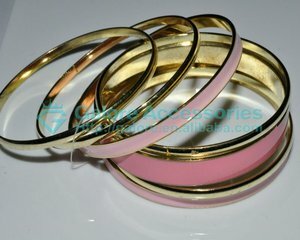 013 bangle products are most popular in North America, Western Europe, and Northern Europe. You can ensure product safety by selecting from certified suppliers, including 262 with Other, 254 with ISO9001, and 17 with ISO14001 certification.